i) To provide support in coordinating procurement plans across the Authority. iii) To assist the Secretary to the Tender Board in preparing agenda for Tender Board meetings. v) To participate in tender evaluation. vi) To prepare compliance reports for submission to the Public Procurement Regulatory Authority. vii) To prepare contract documents. viii) To provide support in review and evaluate procurement requirements and recommend appropriate alternative procedures. x) To provide support in coordinate preparing tender bidding documents. xi) To provide support in conducting training in procurement and contract management. xii) To effectively supervise and guide staff member(s) reporting to the job position. xiii) To undertake any other related duties as assigned by the supervisor from time to time. vii) Demonstrate high standards of conduct and ethics. 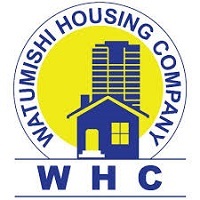 Senior Estate Officer will have responsibility of managing daily operations at WHC properties. Tasks include maintaining property, rentals, marketing and filling vacant spaces, screening prospective tenants/buyers, enforcing leases and securing premises. i) Advertise Lettable spaces and negotiate lease terms. iii) Act as liaison between tenants and property owners. iv) Collect rent on a monthly basis and handle late payments in a timely manner. v) Maintain property by addressing tenant complaints, completing repairs, contracting landscaping and snow removal companies and enforcing rules of occupancy. vii) Follows up auctioned properties to cover rent and other costs. viii) Represents the WHC on valuation issues. ix) Reviews standard rents in view of rising costs of maintenance, taxes and administration. x) Property Ownership Administration that include securing Unit Titles/Titles deeds. xii) Handle property ownership matters like disputes resolution on plot boundaries, court cases, ownership claims, etc. xiii) Liaise with Legal Unit for issues concerning disputes, court cases and compensation. xv)Undertake any other related duties as may be assigned by the Chief Operations Officer. i) Bachelor Degree in Real Estate Property Management, Bsc Land Valuation Management or equivalent qualifications from a recognized higher learning Institutions. ii) Masters Degree or Postgraduate Diploma in any field. Masters Degree with Majors in Real Estate Property Management and evaluation will be an added advantage. iii) Must be registered with professional Board. v) Not less than three (3) years relevant work experience in property management out of which two (2) years must be in senior position. Land Surveyor will be responsible for provision land survey information for engineering, map making, mining, land evaluation, construction, and other purposes. i) Prepare and maintain sketches, maps, reports, and legal descriptions of surveys in order to describe, certify, and assume liability for work performed. ii) Direct or conduct surveys in order to establish legal boundaries for properties, based on legal deeds and titles. iii) Prepare or supervise preparation of all data, charts, plots, maps, records, and documents related to surveys. iv) Plan and conduct ground surveys designed to establish baselines, elevations, and other geodetic measurements. v) Search legal records, survey records, and land titles in order to obtain information about property boundaries in areas to be surveyed. vi) Coordinate findings with the work of engineering and architectural personnel, clients, and others concerned with projects. vii) Ensure surveying instruments and equipments are safely kept and maintained. viii) Establish fixed points for use in making maps, using geodetic and engineering instruments. ix) Train assistants and helpers, and direct their work in such activities as performing surveys or drafting maps. x) Analyse survey objectives and specifications in order to prepare survey proposals or to direct others in survey proposal preparation. xi) Compute geodetic measurements and interpret survey data in order to determine positions, shapes, and elevations of geomorphic and topographic features. xii) Conduct research in surveying and mapping methods, using knowledge of techniques of photogrammetric map compilation and electronic data processing. xiv) Devising various methods to resolve practical planning and development surveys. i) Bachelor's degree in land surveying, mapping or geomatics or equivalent qualifications from a recognised university. ii) Must be registered with professional Board. iv) Not less than three (3) years relevant work experience in land management in reputable institutions. Application letter with Curriculum Vitae (CV) including e-mail address or daytime contact telephone number, together with photocopies of certificates and names and contacts of two referees should be addressed to reach the under-mentioned by 16th February 2018.